Human Factors, User Experience (UX), Ergonomics. These are all related fields with at least one common goal: to center technology, systems, or processes around people rather than problems. By doing this, errors are reduced, usability and satisfaction increase, and the end result is a much better product. Here are five reasons you should adopt a user-centered approach in your business. It is difficult to understand the type of person who is using your product without identifying users, looking into their backgrounds and behavior, and asking them why they were drawn to your product. Perhaps even more importantly, look at exactly how those users are interacting with your product. Let me illustrate with an example from my favorite sport: Frisbee. The story behind the Frisbee starts in 1871 with a man named William Russell Frisbie. Frisbie purchased a bakery and began to produce pies and cookies under the name “Frisbie Pie Company.” His business proved to be a success, and it continued to flourish even after his death. At its peak in 1956, it was producing 80,000 pies per day, and each of these pies sat in a plate-shaped tin bearing the company name. Enterprising students (likely strapped for cash) discovered an innovative use for these tins: hurling them at each other across campus. The pie company was shut down just two years later, but rights to the name and the flying disc were picked up by a company called Wham-O, and now more than one hundred million Frisbees have been sold worldwide. This example has at least two important lessons to teach. First, users are creative and will find ways to use your product that you likely wouldn’t imagine on your own. Second, understanding how users are actually using your product will open up opportunities, whether that means to improve or innovate or expand. Discovering how users are interacting with products and exploring opportunities are key elements of user-centered research. While it may make sense initially to center designs on solving a problem, such designs often fail to take into account human capabilities and thus result in systemic errors that could be otherwise prevented. Let’s take workspace seating as an example. A problem-centered design might use a simple, sturdy stool because it’s inexpensive, efficient, and enables a worker to sit and interact with their workplace. In essence, it gets the job done. Looking at this design with a human-centered perspective might reveal that the stool causes discomfort to the worker, which leads to less efficient work over time due to distraction, unhappiness, and possibly even back strain. By examining how people interact with systems, the flaws with points of human interaction become apparent. One of the most common functions of user-centered research is usability testing, wherein a typical user runs through a set of tasks that represent ordinary interaction with a product. This is called “usability testing” because it reveals just how usable a product is and quickly uncovers places where the product is not intuitive for typical users. Building on our previous example, let’s suppose that you’ve designed a chair for use in a workspace. Before you put it into production, you want to see how people will use your chair. After getting some representative users in a room with your chair, you have them sit on it, try to perform regular work tasks on it, and then ask for feedback. You discover that the mechanism for adjusting chair height is difficult for most users to reach. You also notice that because most of the users work in an office, they would really benefit from armrests, or perhaps you even observe that some people are using your chair like a table while sitting in the more comfortable chair to their left. Now you have the chance to make some improvements to your chair because you understand your users better. This example also illustrates the importance of getting started early, and iterating regularly. When key areas of improvement are identified early in product development, small refinements can be made and further testing can occur. Ultimately, this leads to a much more refined, quality product. Starting with the user and identifying key areas of improvement naturally leads to an increase in product functionality and efficiency. If you know your users and how they are using your products, refining their interactions becomes easy. Let’s look at a common example in technology: icons. Icons are everywhere, but not all of them are as universal as you may think. Consider the first icon above: Do you see an indication of a search function or a zoom function? Comparing the other two icons, what information or functions would you expect to be found beneath them? Is there any overlap? Perhaps in this instance, the ‘moral of the story’ so to speak is this: do not replace text with an icon unless the meaning is completely clear to all of your users. User-centered research reveals what users think and how they behave when interacting with your interfaces and icons. With refined interactions between your now-known user and the identified areas of improvement, you also have a reduction of error and system failure. When a user doesn’t have to get hung up on a poorly designed dial or a misunderstanding of a specific icon, they can move on to successful task completion without being hampered by system design. It is impossible not to recognize the impact Apple has had on the world. Apple is a trillion dollar company with a fiercely loyal customer base. How did they accomplish this? Let’s look at the iPhone as an example. Before the iPhone was released, Apple was having success selling their iPods. They observed how people were using iPods, that they would carry them alongside their cell phones, and noted the niche the Blackberry phones had in providing phones with internet access, and they created the iPhone to fill the role of all of these devices. Furthermore, they examined how they could make using an iPhone a unique, user-friendly experience. The way iPhones look and feel, and how the users interact with it, is a direct result of usability testing and deep consideration of the user experience. Apple has made this user-centered approach a habit, and while they are certainly not the only company that has adopted this approach, they definitely provide a shining example that such an approach produces happy customers. You don’t need to be a company as large as Apple to adopt a user-centered approach in your work. “When systems match user needs, satisfaction often improves dramatically. In a 1992 Gartner Group study, usability methods raised user satisfaction ratings by 40%” (Bias & Mayhew’s Cost-Justifying Usability). The application of user-centered research methods can result in you understanding your customers and being able to tailor your products to them in enjoyable ways. The big question in business is always this: “Will the return on investment be worth it?” While user-centered research does present an upfront cost, that cost is quickly offset. In the long run, such research saves development money, reduces the cost of potential errors, and the positive user experience increases sales. According to the IEEE, redesigns can cost $100 for every $1 spent on development. If you do it right the first time, you could avoid spending up to 100x the amount trying to fix a problem down the road. While there is certainly an upfront investment, creating a positive user experience can prevent significant losses and save a great deal of money over time. Consider two of the companies mentioned in this article. Apple applied user-centered research in a very serious way. They recognized how customers were using their product and created an innovation that resulted in them being one of the largest companies in the world today. 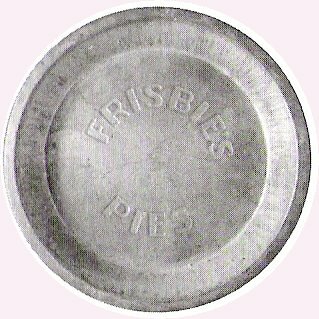 Frisbie’s Pies had a product customers were happy with, but failed to recognize how their customers were using their product and missed an opportunity for innovation. As a result, the company failed to adapt to the changing market and was ultimately shut down. The ROI may not always be immediately apparent, but understanding your customers is the key to continued success in the long run. A user-centered approach seeks to re-center the world around people. With a variety of methods across multiple fields, Human Factors and UX researchers work to mold products and processes into meaningful experiences that leave users satisfied, safe, and successful. The companies that adopt a user-centered approach have happier customers and readily recognize the return on investment because they understand the user, and know how their products can best meet user needs and wants. The real question is this: what are you doing to adopt a user-centered approach? Mikey Brogdon has an MS in Human Systems Engineering and a passion for writing. He enjoys studying how people interact with technology, especially if that technology is in an automobile. He currently works with an expert team of UX professionals at Human Interfaces, Inc. to develop custom research solutions for any UX challenge. If you need help from a full-service UX research consultancy for a study, recruitment, or facility rental, visit our website, send us an email, or connect with us through LinkedIn. Copyright © 2016, Human Interfaces, Inc., All rights reserved. All Trademarks are property of their respective owners.